Throughout the 1940s, after the end of World War II (WWII), consumer expectations regarding automobiles remained the same as in the years immediately before the war, and the European car industry failed to propose new ideas. However, from the early 1950s, western European countries began to resume automotive production in a surprising way. In Germany, France, and Italy, companies capable of large-scale production emerged, such as Volkswagen in Germany, Peugeot and Citroen in France, and Fiat in Italy. They quickly established themselves as market leaders. The products or services that such leading companies developed often set the standard for other carmakers, thereby enabling them to achieve a prominent position among customers in quality terms. Their position as market leaders also provided them with some other advantages: better access to distribution channels; a strong and enduring image; and the means to achieve low production costs through greater economies of scale. 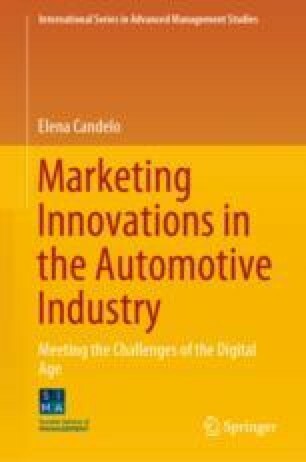 In the mid-1950s, two differences in the marketing strategies of European carmakers began to surface: (1) a national identity that would gradually disappear after the Treaty of Rome (1960); and (2) strong differences between the strategies of mass market producers (such as Fiat, Volkswagen, and Opel) and those of high-end (e.g. Mercedes Benz) and niche specialists (such as Ferrari and Aston Martin).